Mathematics has always played an important role in all civilizations. Today, we are surrounded by math in everyday life, be it in navigation devices, smartphones, or the weather forecast. It is essential for scientific research: “Mathematics provides a language which allows to describe and investigate scientific phenomena efficiently”, says mathematician Prof. Anna Wienhard, who has been the head of the new research group “Groups and Geometry” at the Heidelberg Institute for Theoretical Studies (HITS) since the 1st of June. The 37-year-old is also Professor of Mathematics at the University of Heidelberg, a position that she has held since 2012. 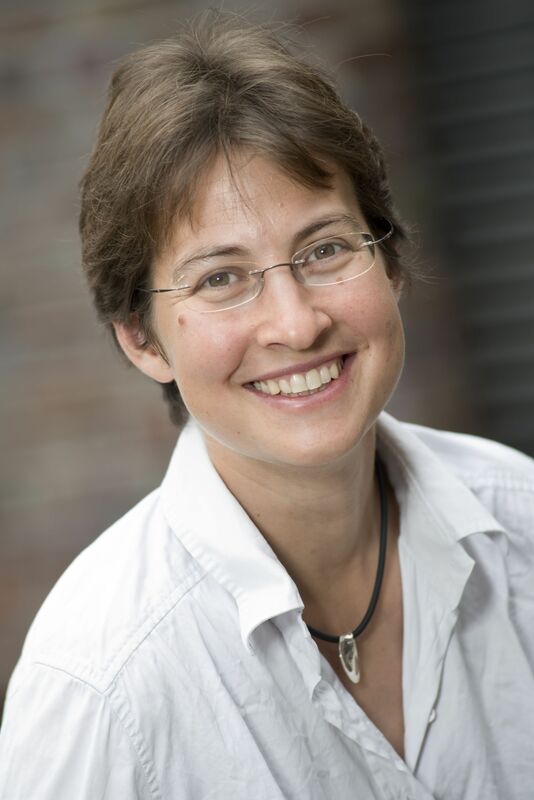 “With the acquisition of Anna Wienhard, we now have a renowned mathematician who complements the content of the two existing mathematical groups well,” notes HITS Scientific Director, Prof. Rebecca Wade. “The new group also documents the close relationship of HITS with the University of Heidelberg, which is indeed one of our shareholders.” Among her achievements, Prof. Wienhard has received the 1.6-million-euro “Consolidator Grant” endowment from the European Research Council (ERC) and is a Fellow of the American Mathematical Society. In addition to the new group, mathematicians Prof. Tilmann Gneiting (Computational Statistics) and Prof. Vincent Heuveline (Data Mining and Uncertainty Quantification) work with Prof. Wienhard’s teams in the private, non-profit research institute. Anna Wienhard studied theology and mathematics at the University of Bonn and earned a diploma in both degree programs. After one year of work at the collaborative research center “Judaism – Christianity,” she decided to focus on mathematics and earned her doctorate at the University of Bonn in 2004. Prof. Wienhard subsequently did a postdoc at the University of Basel. In 2005, she moved to the USA, where she pursued her research at the Institute for Advanced Study in Princeton, the University of Chicago, and, beginning in 2007, became an assistant professor at Princeton University. In 2012, she received several offers from universities in the USA, Germany, and Austria. She joined the University of Heidelberg and was appointed Professor of Pure Mathematics at the Mathematical Institute as well as leader of the research group “Differential Geometry”.